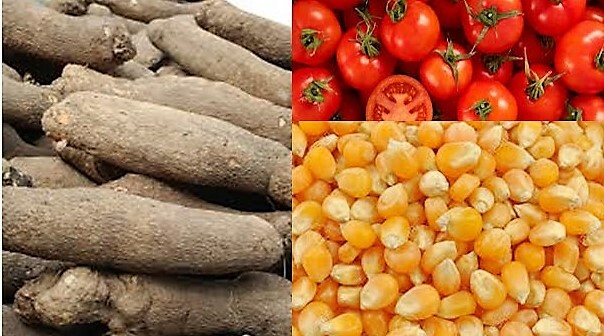 All things being equal, from the performance of most commodities in the month of January and information gathered, some commodities are expected to drop in prices while others are expected to increase in prices. At the end of the first month of 2019, most commodities dropped in price. The price of Gari dipped by 9.60% to close the month at GHS 160.00 per bag with Millet also dropping 8.44% to close at GHS 229.29 per bag. Soya beans dropped 7.67% to close at GHS 237.29 per bag with Local rice also dropping 6.15% to close at GHS 322.71 per bag. Cowpea white lost 3.60% to close at GHS 371.43 per bag with Maize also losing marginally by 0.52% to close at GHS 346.80 per bag. Meanwhile, the price of tomatoes sored up, making a gain of 13.52% to close at GHS 440.83 per crate. Pona also gained 12.50% to close at GHS 582.17. Cassava made gains of 1.63% to close at GHS 62.17 with Wheat making a gain of less than one percent. The average price for a bag of Maize lost 2.54% to close the month at GHS 142.71. The highest price of GHS 194.00 was recorded at Takoradi with the lowest price of GHS 112.00 at Bawku. This is the first time Maize prices have dropped in the last 2 months. The average price for a bag of Local rice dropped by 6.15% to close the month at GHS 322.71. The highest price of GHS 400.00 was recorded at Accra with the lowest price of GHS 271.00 recorded at Tamale. The average price for a crate of Tomato gained 13.52% to close the month at GHS 440.83. The highest price of GHS 534.00 was recorded at Accra and the lowest price of GHS 392.00 recorded at Takoradi. All things being equal, it is expected that prices will continue to rise in the coming weeks.